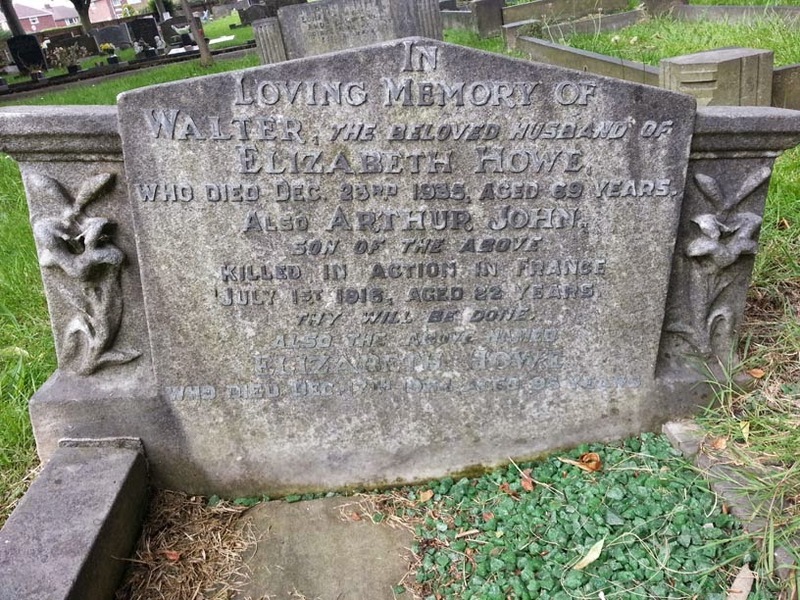 In / Loving Memory of / Walter, the beloved husband of / Elizabeth Howe / who died Dec 23rd 1935, aged 69 years. / Also Arthur John / son of the above / Killed in Action in France / July 1st 1916, aged 22 years / Thy Will Be Done / Also the above named Elizabeth Howe / who died Dec 17th 1964 aged 96 years. There is a photo of Arthur (from the Darfield Village Club RoH) here. He is listed on the Thiepval Memorial in France and remembered on the Commonwealth War Graves Commission website.